Are you rough on your gadgets? 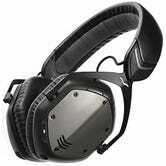 Then you should consider the new V-Moda Crossfade Wireless. These nearly indestructible headphones meet U.S. military specifications (MIL-STD-810) not only for drops but also dust and humidity. They also sound pretty fantastic and are impressively well balanced. Now about those gaudy orange diamonds screwed to the outside. Very ugly, right? But they’re actually one of the most unique features of this model, because V-Moda makes it easy to swap them out for different colors and even custom-made 3D-printed designs. Personally, I’m a big fan of the Gunmetal Black model, but there’s no limit to your own headphone creativity. At $300, it’s tough to decide between these and the Parrot Zik 2.0. Nevertheless, you’re going to love these as a daily driver sort of headset that can take a beating. The updated $500 Sennheiser Momentum 2.0 Wireless cost as much as a (crappy) used car, but holy hell, they are terrific headphones. The clean design with classy leather details made these the most handsome headphones I’ve ever worn, and the memory foam cushions are downright cozy. Most important: the sound quality is truly exceptional. Did I mention they cost $500? The most telling sign that these are the best in class is the simple fact that I can’t stop using them. The old wired Momentums are a perennial Gizmodo favorite, and when Sennheiser announced the wireless version, we were pumped. While the controls aren’t as elegant as the Parrot Zik 3 and the noise cancelation isn’t as intense, everything else about these pricey Sennheisers is superior. (Very important: The previously reported connectivity issues have been resolved, except for the very occasional drop, but that kind of thing happens on pretty much every wireless headset.) The Sennheisers also fold up, a very convenient feature that the Ziks lack. I’m typically more of an over-ear headset kind of guy, but I absolutely fell in love with Bowers & Wilkins’ first foray into wireless headphones. Made with lambskin, they’re comfortable as hell, and the iconic B&W driver design means these skinny and lightweight little cans put out some huge sound. I honestly can’t say enough good things about these headphones. I can say one bad thing: the connectivity was sometimes a chore, but maybe that’s just me. Oh, and they’re $400 a pair—which is worth it, in my opinion. Sony is known for making high quality, affordably priced headphones, and the Extra Bass Bluetooth Headset (Model: MDR-XB950BT) is no exception. But honestly, when Sony sent me a set of headphones with a throwback “Bass Boost” button, I thought it was a silly gimmick. Then I put on a Diplo song and pushed the button. I’ll be perfectly honest: I love bass. This is a consequence of my struggle with deafness. I could never hear treble very well, but I could feel bass. Sony’s Bass Boost opened up a range of deep, deep bass that I wasn’t able to hear on other headphones. Sure, you can buy wired headphones with massive drivers that might do a better job, but then you have to deal with the wire—not to mention looking like a goofball with huge cans strapped to your head. These slick-looking Sony wireless headphones are great for bass lovers, but they’re also just excellent all around. And at $150, the price is right. Just don’t buy Beats. Seriously, don’t even think about it. If you’re in the market for a slick-looking, reasonably priced set of wireless headphones, consider Lstn’s new Wireless Troubadours. They sport the same gorgeous design as the wired version—including real wood earcups—for only $170. The build quality does feel a bit cheap, but the sound is well balanced. It’s also worth pointing out that the comparatively lightweight chassis will feel nice on your noggin, when you wear them a lot. Hey fancy pants, do you like your headphones to come wrapped in premium cowhide? Then you’ll love the MW60. They cost $550. At that price, you’d better just love the classic M&D design, because the MW60’s sound quality isn’t quite as brilliant as the Sennheiser’s $500 Momentum Wireless. They are gorgeous, though. Noise-cancelling enthusiasts will love these surprisingly handsome Bose headphones. The QC35s aren’t cheap at $350 a pair, but they do a fantastic job of shutting out sound from the outside world. You’ll also appreciate the 20-hour battery life if you’re bad at charging stuff. Like the around-ear Sennheiser Momentum Wireless, these slightly smaller headphones are incredible. The sound quality is similarly terrific, but they’re not quite as comfortable as their bigger sibling, in my opinion. I love love love the look of these surprisingly light headphones by Bang and Olufsen. The design is so Danish and nice that I don’t even mind the weird skin-colored details. (They also come in beautiful black.) 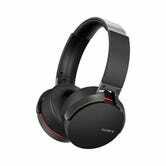 However, with no noise cancellation, I have a hard time recommending anyone spend $450 on these things. Very similar story to the H7. The even more expensive $500 on-ear B&O Play H8 comes with noise cancellation and a very gold finish. But the noise cancellation seemed to pick up weird feedback, and the headset didn’t feel as comfortable as the cheaper H8s. These over-designed ear muffs are comfortable as hell. However, they are ginormous, not very loud, and generally underwhelming. Oh, and they cost $350. I didn’t hate them, but I also wouldn’t wear them in public. Similar story as Sennheiser. The Level On is slightly different than the Level Over in terms of design. However, the sound actually seems better, and the slimmer, foldable form factor makes them a lot more portable. They’re a little steep at $250. With a springy little leather headband, these ultra light headphones look kind of goofy but in a good way. You get a fantastic 18-hours of battery life and surprisingly bit sound for the weight. These are definitely a good option if you want the features of the bulkier Backbeat Pro without the bulk. So you don’t want to drop four or five Benjamins on a pair of headphones? Go with the $250 Plantronics Backbeat Pro. They’re moderately priced and promise 24-hour battery life for continuous wireless use. It’s worth mentioning that the Backbeat Pros are on the bulkier side of the headphones designs, and the build quality is a little bit questionable. Don’t get me wrong: the Symphony 1 headset sounds great. But at $400, they’re way too expensive for the build quality and awkward design that will surely drive you crazy. I’m also not crazy about the ultra large ear cups. These headphones are a good deal. I just couldn’t find anything that made them really stand out. If effect, they were just a lighter weight version of the bass lovers’ Sony headphones. You can buy a refurbished headset at Walmart right now for only $130. There are several pairs of wireless headphones on the market for $100. Cheap headphones often sound cheap, though. The Jabra Move Wireless, however, defy that trend. This brand new model resembles Jabra’s very well reviewed Revo headphones, but the Move sound just as good for half the price. They do sound great, too. If you’re looking for some full featured, on-ear headphones, the Jabra Revo headphones are great. But they retail for double the price of the Move headphones, but you can find them for as little as $125. You’re paying for a sturdier build and ear cup controls. I’ve never been terribly impressed with Beats, but I actually really liked the newly revamped Studio Wireless headphones. At $370 a pop, though, they’re too expensive. Update: They’re also flimsy and broke after a couple months of light use. Like the Studio Wireless, the Beats Solo2 on-ear headphones are decent, but awfully pricey for headphones with no controls. For $300, you can definitely get a better set. Some people like that shiny Beats branding, though! I didn’t hate the Bose SoundLink on-the-ear headphones, but I definitely didn’t love them enough to think they were worth $250. The over-the-ear model I didn’t even bother calling in. Its battery life looks terrible, and frankly, the headset looks terrible, too. I really wanted to love these headphones made by Harman. I love the way they look. I loved how they fit on my (big) head. I even loved the way they sounded. At the end of day, I didn’t love them enough to put up with the crappy battery and $300 price tag. Gizmodo gave the wired version a great review so I was excited to try this pair. At double the price of the originals, however, the Tracks Air are the perfect example of when wireless functionality doesn’t justify the premium. Plus, they look goofy. You need to love leather if you’re going to buy these headphones. That said, the sound quality’s quite good, and the $200 price tag is pretty good. They fit a little weird on my weird head, though. These very boxy headphones aren’t worth $150. However, they’re usually on sale for less than $90 which makes them a deal. The sound quality is good, and they make a great alternative to the Jabra options. From the killer 22 hour battery life to the fancy new Bluetooth 4.0 version, the Air-Fi Matrix2 sounded like a good deal at $150. So I tried them out. Even at the current sale price of $90, they’re not worth it. I tried these out of curiosity. Could Monoprice really make a decent set of wireless headphones for less than $90? The answer is no. Since Koss invented stereo headphones I had high hopes for their Bluetooth model. The headset looks absolutely handsome, but the sound quality left me wanting—at a $200 price point at least. I’m not crazy about the look of these, and some bad reviews discouraged me from spending any time testing them. I wanted to like this slick looking sound headband. 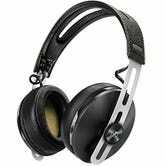 But with a $350 retail price, these were the most expensive on-ear headphones I came across in my research, and the features didn’t seem to justify that price tag. I’m pretty sure I grimaced when I first saw these headphones. The design reminded me of Alienware laptops (in a bad way), and like the Beats Solo2, they’re expensive and lack some features. These beefier Sennheisers have more features. However, if you’re going to spend $400 on Bluetooth headphones, you should buy the Parrot Zik 3. Same thing. These kind of clunky headphones cost as much as the Parrot Zik 3, but don’t have nearly as many features. The only set of headphones that are uglier than the Monster iSport Freedoms is the Nokia Purity Pro Headset by Monster. I didn’t try these for two reasons. One, the behind-the-head design is silly when you’ve got heavy ear cups to deal with. Two, $25 is way too cheap. Apparently, they work okay, though. These look too good to be true at $40. I just can’t imagine how that design is comfortable. But inevitably, you pay for what you get. 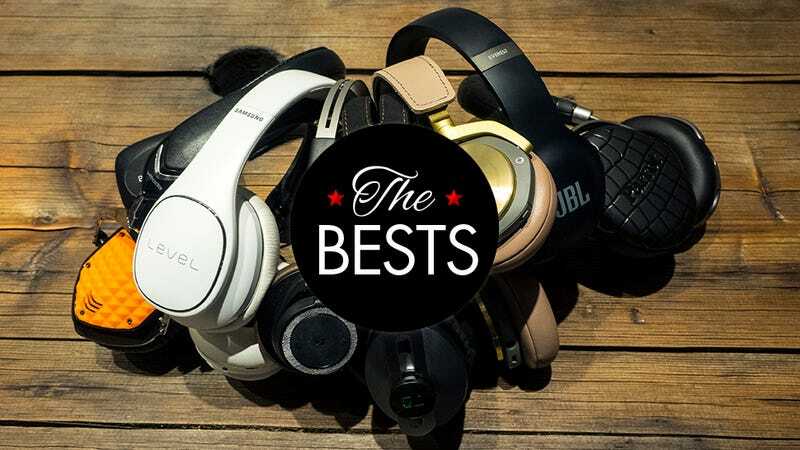 3/13/15 - Sennheiser Momentum Wireless named The Best If Money’s No Object. Polk Hinge Wireless, VOXOA HD Wireless, and Beats Solo2 Wireless added to The Rest. 4/28/15 - Sennheiser Momentum Wireless demoted to The Rest due to on-going connectivity issues. 12/18/15 - Newly updated Sennheiser Momentum Wireless reclaims The Best If Money’s No Object. Zik 3 named The Best Overall. V-Moda Crossfade Wireless knocks Plantronics Backbeat Pro out of the The Best Daily Driver slot. JBL Everest 700 claims The Best Beats Alternative. 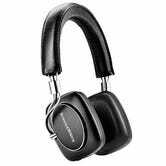 Bowers & Wilkins P5 named The Best On-Ear Headphones. Jabra Move Wireless drops down, and Sennheiser Momentum On-ear, B&O Play H7 and H9, Samsung Level On, Plantronics Backbeat Sense added to The Rest. 9/7/2016 - LSTN Wireless Troubadours takes The Best-Looking Budget Option. Sony Extra Bass knocks the JBL Everest 700 out of the Best Beats Alternative. Added Master & Dynamic MW60 and Bose QuietComfort 35 to The Rest.